What Is The Purpose Of The Fire Resistant Mini Vault? This powerful little protection is the perfect way to give your valuables and cash a lockup that is safe from more than just burglary. The fire resistance mini vault is more than just a lockbox. This mini vault has more than the standard safe specifications. The fire resistant mini vault just provides you with more. 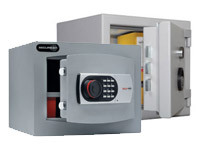 The vault is designed to give you a safe place that deters theft actively and passively. The impressive size and heft of this vault gives you your own security system right in your office. Simply mount this to the wall or the floor and it’s an immovable, impenetrable fortress. The fire rating on this vault allows for 30 minutes of protection against flames reaching temperatures of 750 degrees. Your cash, insured value of £4000, and documents are safe from fire and theft in this 8mm thick steel walled mini vault. Where Can The Fire Resistant Mini Vault Be Used? 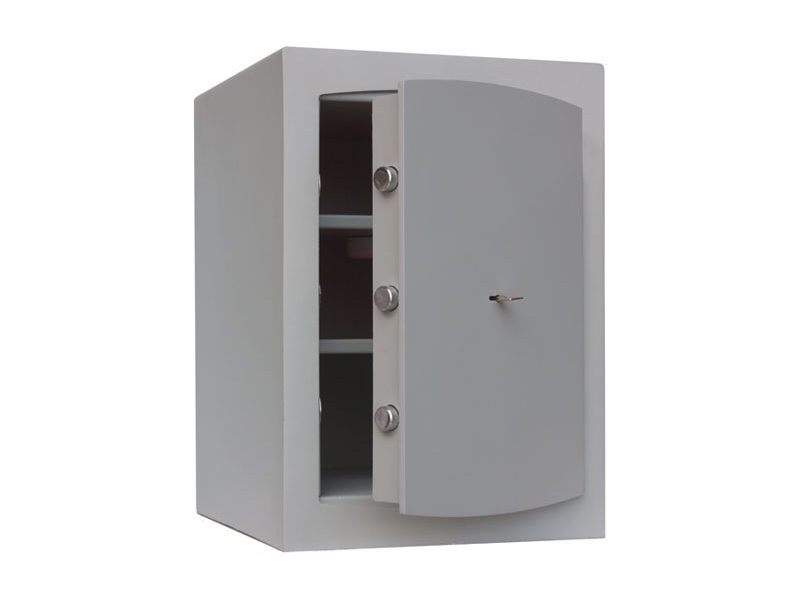 This mini vault can be used anywhere that you need a safe spot for valuables and goods over a period of time. You need to know that when you place this in your home or your office, you’re going to get a fire resistant, theft deterrent spot for up to £40,000 of valuables. 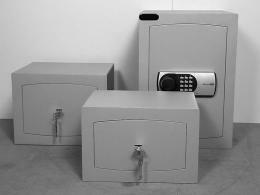 The mini vault also works for small businesses needing a spot to store their cash floats and smaller, precious goods. Who Might Use The Fire Resistant Mini Vault? You’ll find both shop owners and home owners both using the same safe. The same fire resistant and anti-bludgeon door qualities appeal to both the work and home use. 30 minutes of fire resistance at 750 degrees rated. Key lock or digital combinations models available. Different sizes available. Ask for more options. 1 year warranty on each mini vault.